The trails I run midweek tend to be a spur of the moment decision. Often I’ll look at the list of walking and tramping tracks on the Auckland Regional Park website just before leaving work and select one in an area not too far from home that’s easily accessible with somewhere to park the car. 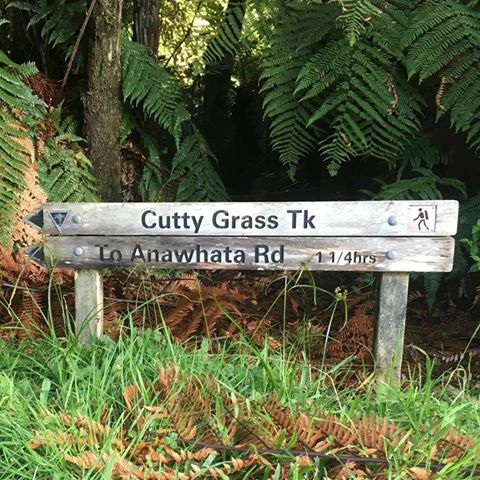 Running the Cutty Grass Track was one of those spur of the moment decisions. One end of the track starts on Scenic Drive not too far from the Waitakere Dam (which I have been to a few times) and the street view on Google Maps showed that I could park near the gate. Another positive is that the track is long enough so that it’s a decent run (I prefer to run at least 6km midweek) but short enough to ensure I’d get back to the car (barring any unforeseen circumstances) well before the winter sunset. 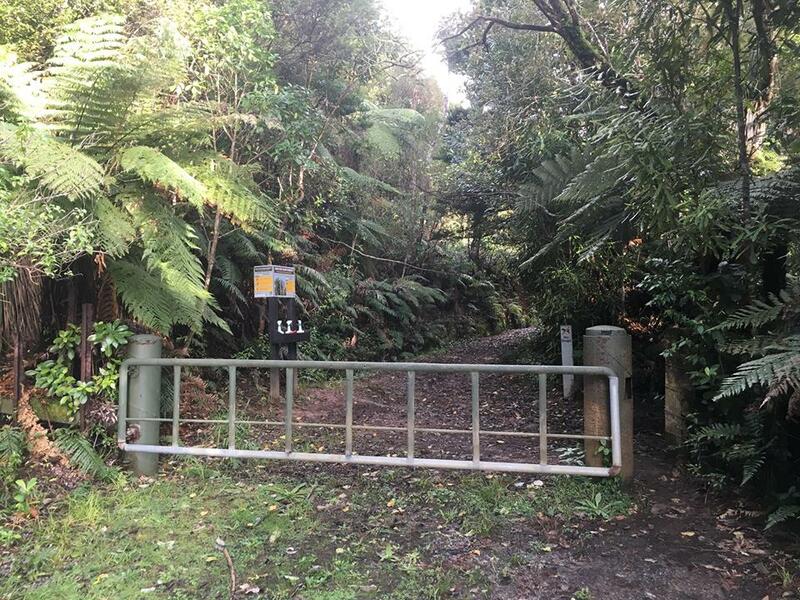 Thanks to my google maps/street view research I found the gate quite easily (the sign is before the gate and tucked away from the roadside) the area just after the gate is wide clearing of mud and from the amount of boot prints I could see (and the amount of mud) I’d say this is one of the most widely used tracks in the Waitakere Ranges! After wading through the mud to clean my shoes to keep the Kauris standing (which did seem kind of pointless as you then had to wade back through the mud to get onto the track “proper”) I followed the trail up a slight hill and around a corner. The first section has gravel underfoot and is quite wide although the trail varies in it’s width along the entire 3.6km including some sections of single track. The trail slightly undulates and I can see how this trail would be popular. It would be an awesome trail to run along especially for beginners .. in summer. The sign at the entrance approximated the time to travel one way as 1 hour 15 however I did the round trip in just under that even though a good majority of the time I walked (or tip toed) through the mud – I know that the time on these signs are usually pretty generous but in this case I think it’s extremely so. One thing to note is that when you get to the shoe cleaning station (just before a clearing) that is not where the track ends. Continue straight ahead and veer slightly to the right (eg do not head towards the road) then continue along the wide path (ignoring the track you will pass on the right – that is the Ridge Road track, however the sign is VERY well hidden) after the clearing the gravel track narrows and continues right through to Anawhata Road – this part of the track is probably my favorite part although it is very narrow and overgrown in sections. Oh and in case you are wondering – cutty grass doesn’t line the entire track, although I found some ..
PS – After a group discussion in a trail running group (about the best shoes to run in when the majority of your winter running is through mud) I’ve since purchased a pair of Inov8 X-Talon’s which are AWESOME on mud (and wet rocks) and I’d hazard a guess that I could probably run the majority of this track without falling. I’ll let you know next time I’m out that way. 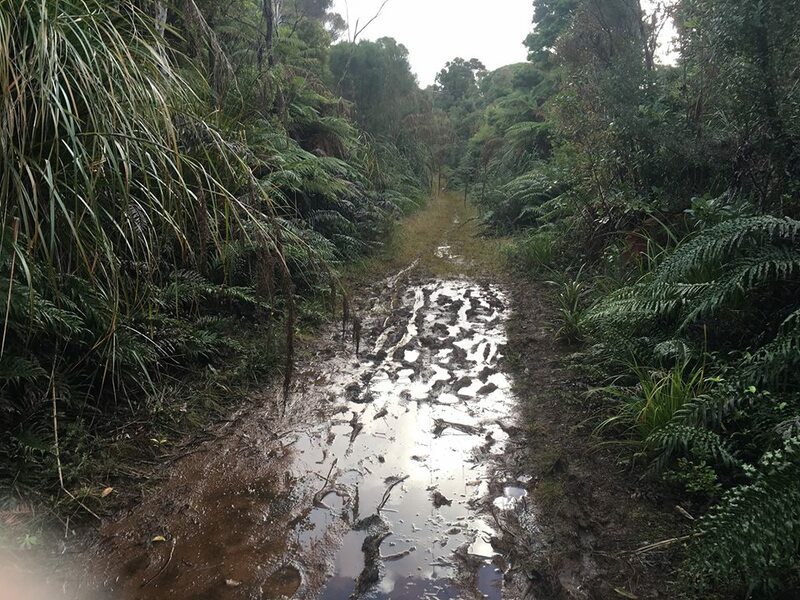 PPS – I ran the track again and yes, I managed to run the entire track in the Inov8’s however I’ll also say that the trail was much less water logged than the last time I ran down it.